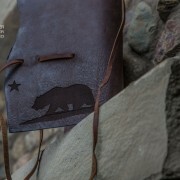 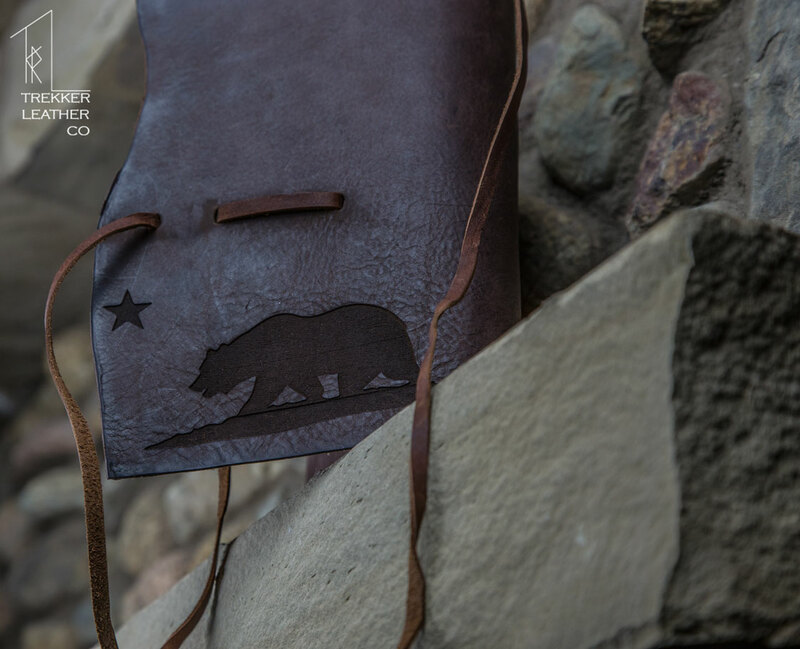 The California Bear | Leather Journal | Trekker Leather Co.
Brown leather with red hints wrapped in kodiak lace and stitched with hemp. 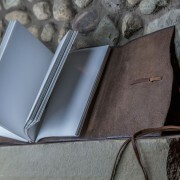 SKU: 011. 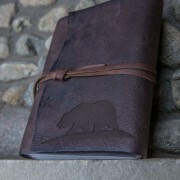 Categories: Journals, Leather Wrap Journals, Sketchbooks. 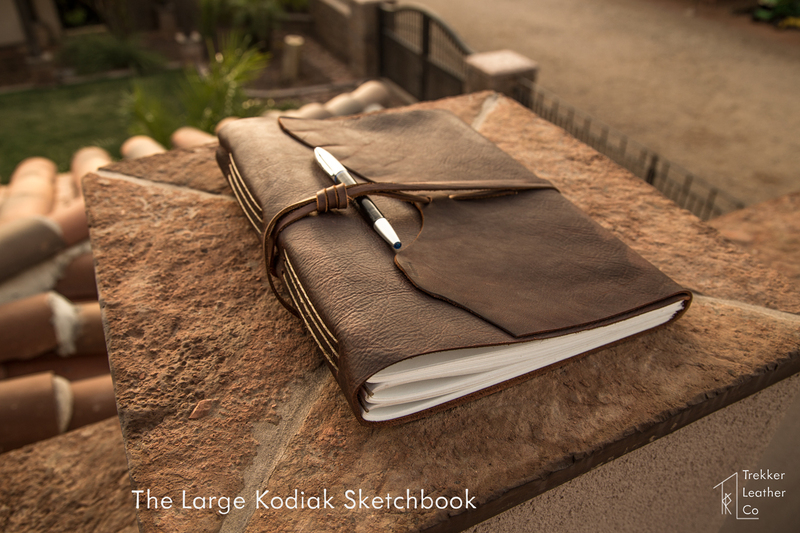 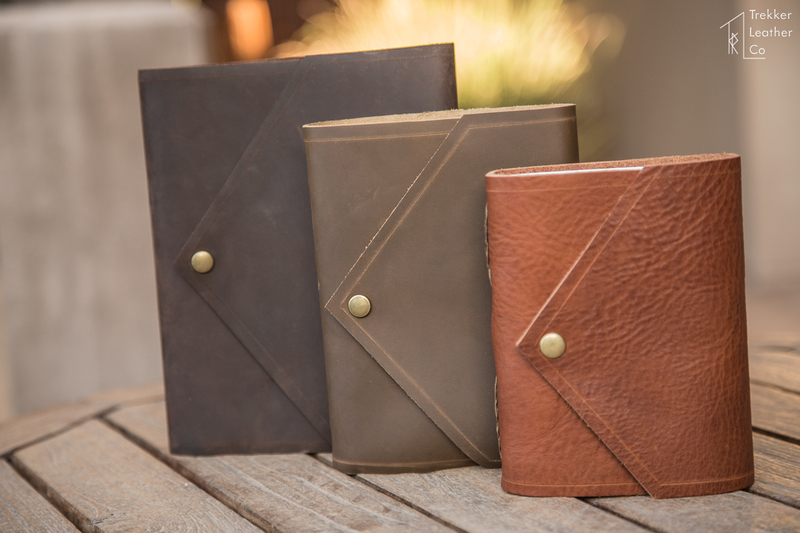 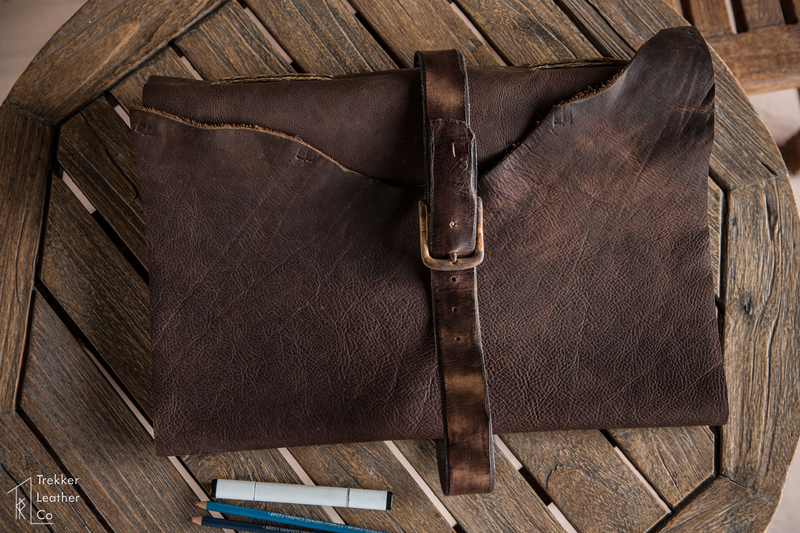 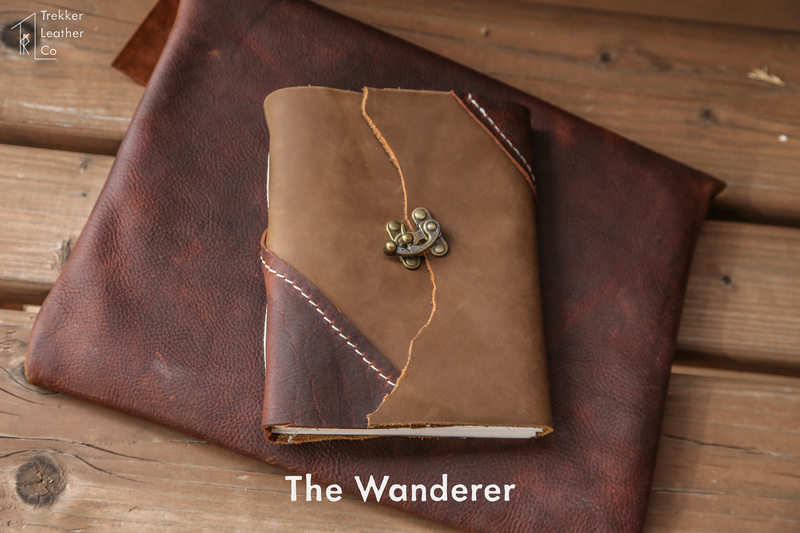 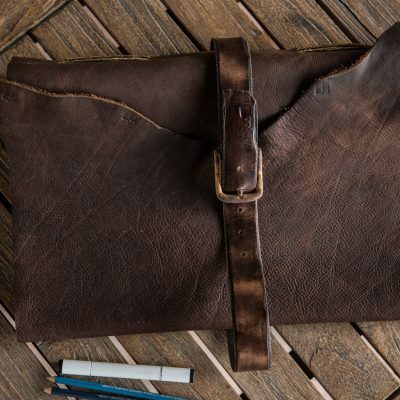 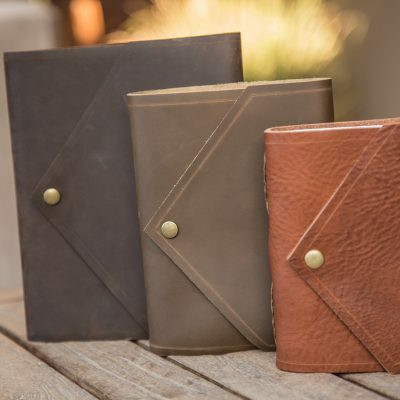 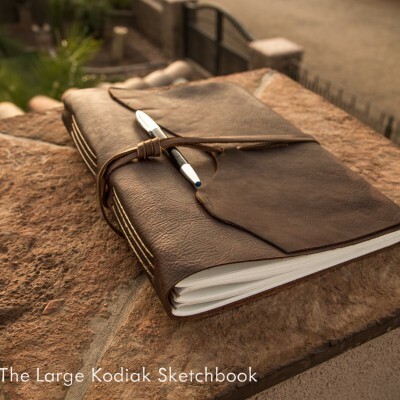 This is a Medium Chestnut Leather Journal from our Premium Leather Line that has had some extra modifications. 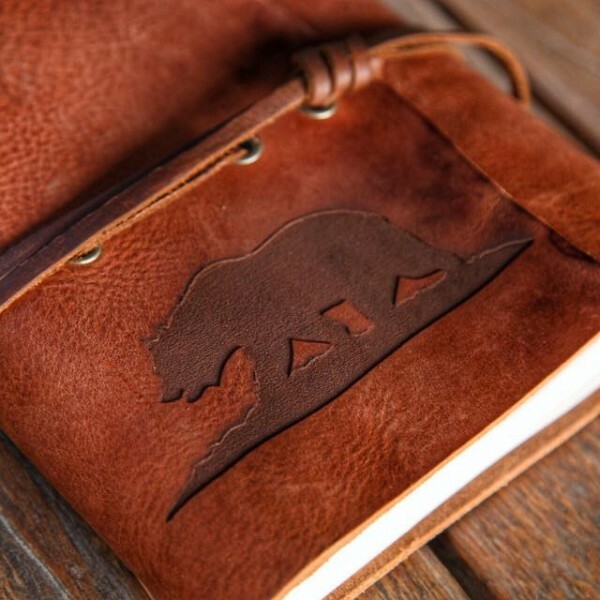 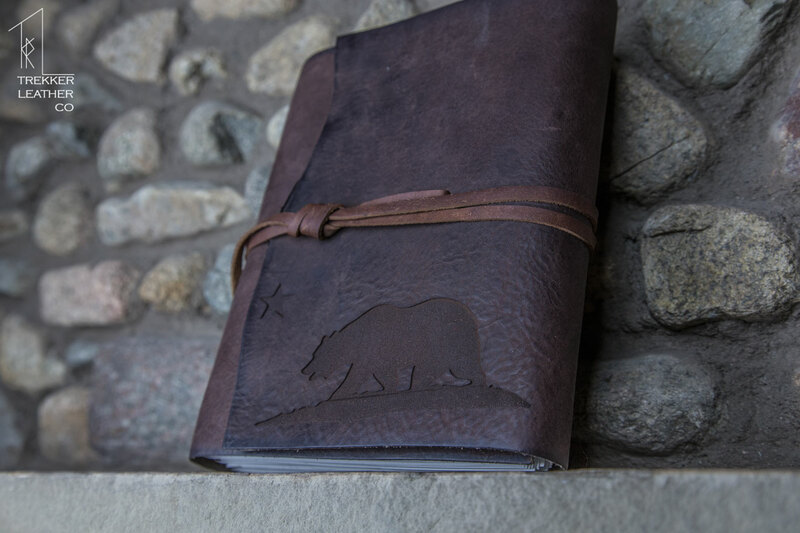 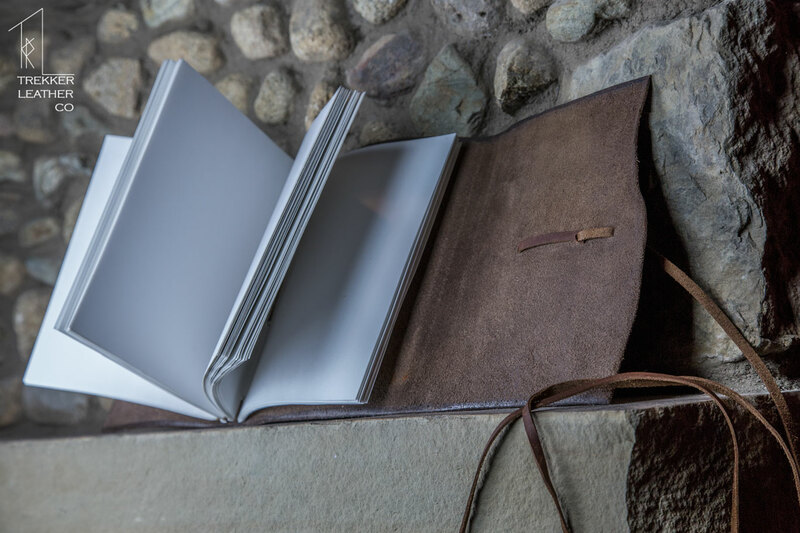 The engraving of the California Bear helps the journal look amazing, while our burnishing treatment reinforces the entire book, making it formed, fit, more comfortable, and refined. 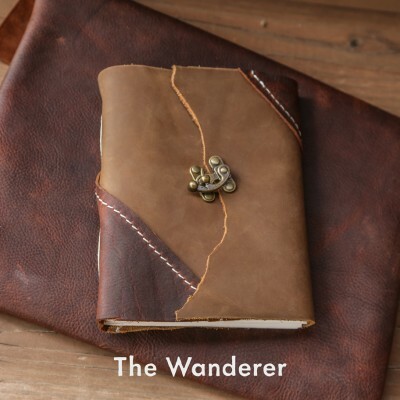 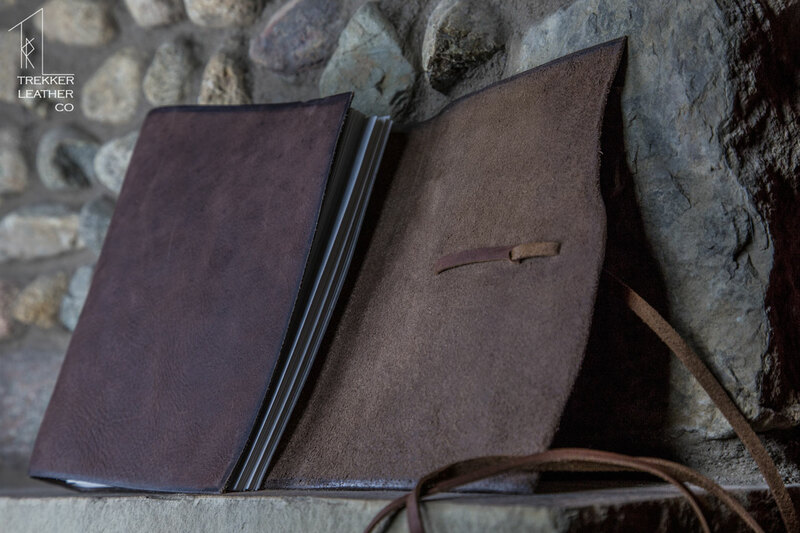 This can be used as a journal or leather sketchbook, and the size also makes it a perfect leather scrapbook or leather cookbook. 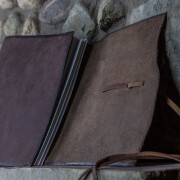 This leather requires a premium because it is easily twice as thick as the leather used in our Original Line. 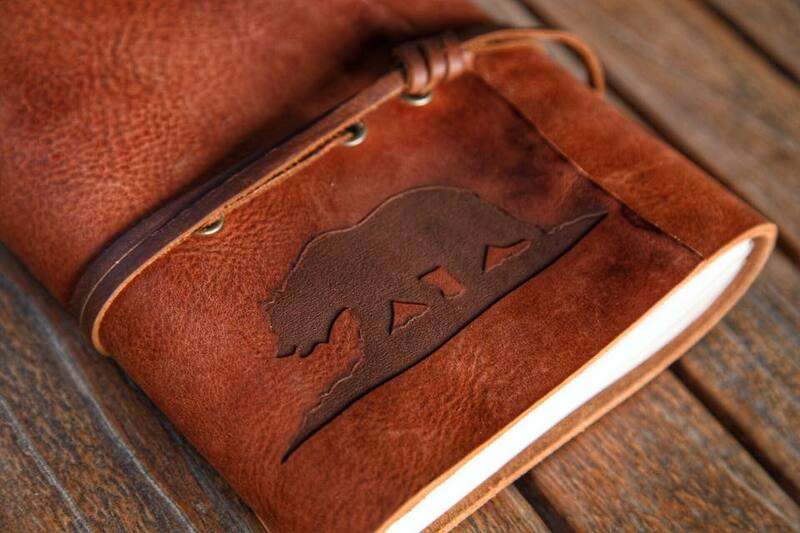 Our Premium Leather Journals are going to be incredibly durable, and have a very distinguishable texture.